Free stuff is great, right? So we have some really good news for you. 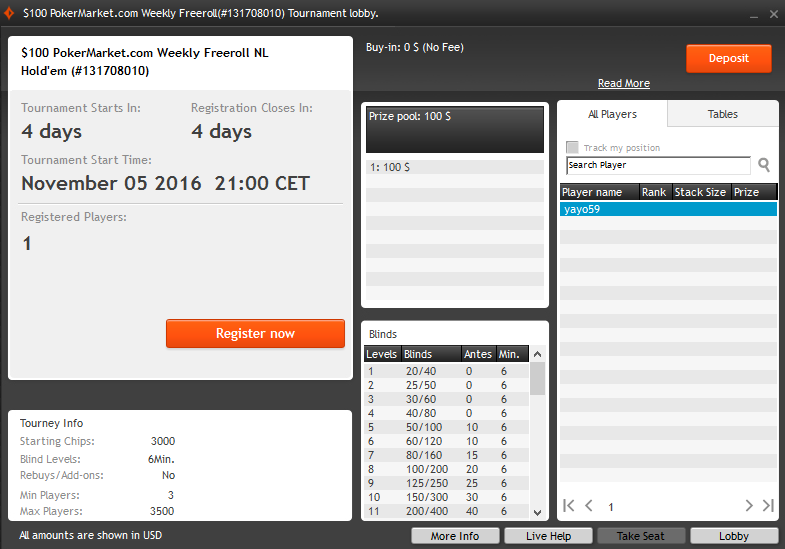 Beginning at next Sunday, we start our weekly Freeroll Series for all PokerMarket PartyPoker & bwin players. There are even some dedicated poker players who have built their entire bankroll with just freerolls! So give it try and make sure to join our $100 Freerolls exclusively for PokerMarket users. How is eligible to join? You need to have an account with PokerMarket at bwin or partypoker. How do we receive the password? All registered PokerMarket player will receive the password 1-2 days before the tournament stars. If you are a registered player and did not receive the password, please contact support(at)pokermarket.com. When is the first Freeroll running? The tournaments will be listed under Tournaments -> Restricted. We hope you like this new weekly format and we wish all of you the best of luck! All Bwin.Party players (tracked to PokerMarket) received an email with the password! Good luck! Yes and support has already answered your mail You have not added your account details and we cannot check if your account is tagged to us. Please read the first post in this thread for all information. if I download Party poker not your link , I can not play freerolls? Correct. You need to signup through us to join this freeroll. Don't miss our next freeroll tomorrow night! Password will be send tomorrow morning, so make sure to check your inboxes. Hey can someone please send me the password? I only just up after the email was sent yesterday? either Flow or sleeper will probably contact you after verifying that you have a valid pokermarket linked account on party/bwin . anyone else sending opens this up to abuse by freerollers who will then just spread the password on freeroll forum and the value for true pokermarket signups will have been lost. Unfortunately, there is no Party or bwin account linked to PokerMarket and therefore you are not eligible to join this freeroll. You need to have an account with us at bwin or partypoker. Unfortunately, there is no Party or bwin account linked to PokerMarket and therefore you are not eligible to join this freeroll. That's the reason you did not receive the password for the freeroll. Hi sleeper1979, so there is no chance to track an old account with PokerMarket right ? if your account is tracked to pokermarket you will receive the password next week via email a few hours before the start. if not join our bwin or party deal. GL & welcome! 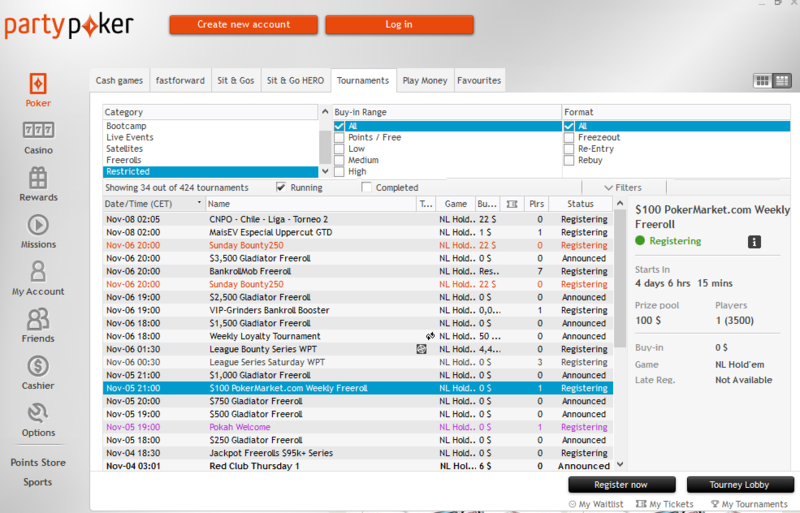 No more pass for PartyPoker freerolls for untracked accounts? Right?